Cobb Amos are delighted to announce that they have been voted one of the top 5% Sales & Lettings Agents IN THE COUNTRY for the second year running. 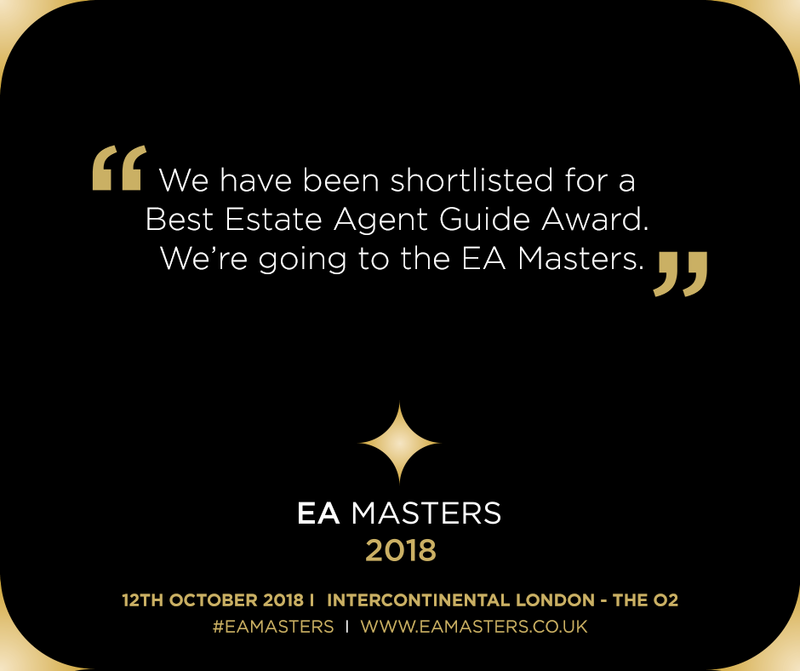 Following an independent mystery shopping program of all agents in the High Street in every Town and City in the UK, the group that run The EA Masters have announced their shortlist of the top 5% agents in the country. The winners will be announced on October 12th 2018 at a hotel in London. The mystery shoppers review all aspects of the business and in particular looks at the customer service provided across the various platforms including On-line, telephone and branch visits and is all done anonymously. She continued to say “We hope to win one of the major awards at the ceremony but already feel fantastic at the recognition this gives our whole team and we would like to thank them for all their efforts”.